EAST COAST LIMOS BLOWOUT SALE!!! East Coast Limos is having a BLOWOUT SALE! We have reduced the price of the packages in our 18-Passenger Party Bus, our 14-Passenger SUVs, and our 8-Passenger Stretch Limousine. This special pricing includes Wedding Packages, Bachelor-Bachelorette Parties, Dinner Transfers, Canadian Tire Centre Packages. Effective immediately and valid on services taking place before April 16, 2017. I was extremely happy with the service East Coast Limos provided. We had a special need, and wanted the best service possible for the winner of JUMP's LIVE FREE contest. The natural choice was East Coast Limos. From booking the limo to the excellent service provided by Jane, our chauffeur, it was an amazing experience for both our company and our winner. I would highly recommend East Coast Limos to my friends and family. Check out the video of the JUMP's LIVE FREE contest winner here! Winner of the People's Choice Best Limousine Service at the 2016 Ottawa Wedding Awards! East Coast Limos is the proud winner of the People's Choice Best Limousine Service at the 2016 Ottawa Wedding Awards! The Ottawa Wedding Awards recognizes the leaders in the wedding industry and East Coast Limos is proud to win People's Choice Best Limousine Service at the 2016 Awards! Owners Rainer Giberson & Keith Rogers accepted the award which East Coast Limos also won in 2014! East Coast Limos, a multi-award winning‎ business, is excited to be partnered with Ottawa's number one baseball team, the Ottawa Champions for the upcoming 2016 season. Check out the Ottawa Champions 2016 Schedule! Our prom packages let you celebrate safely in comfort and style! Prom is a night to remember; let East Coast Limos help make those memories even more amazing! Our chauffeur will pick you and your friends up in our 8-Passenger Stretch Limousine, our 14-Passenger Stretch SUV or our 18-Passenger Party Bus! Our limousines are beautiful and clean and our chauffeurs are friendly and polite. Feel free to book a viewing of the limousine you're interested in. You'll be impressed! 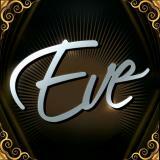 East Coast Limos is proud to partner with Eve Nightclub! Eve is the Capitals newest 21+ nightlife destination. Expertly designed to cater to all your celebration needs or simply a great night out with friends. East Coast Limos will pick you up at your front door and bring you in comfort and style to one of the areas fabulous restaurants. Let us take you on a leisurely drive to your destination passing points of interest along the way. At the end of the evening, your chauffeur will be waiting to whisk you safely back home. This means no need to worry about having a couple glasses of wine with dinner! There is no better way to travel than with East Coast Limos! Arrive to the Canadian Tire Centre in style for any special event! With everyone together in one of our classy limousines getting there is as much fun as the event itself! Feel like a VIP with curbside drop off and pick up at the CTC. Keep the party going and get home stress free with East Coast Limos! Take the stress out of getting to the Canadian Tire Centre for a Senators game; let East Coast Limos deliver you there in style! Get picked up from home and feel like a VIP with curbside drop off and pick up at the CTC. Bookend your evening with drinks and friends in the back of one of our luxurious limousines or our plush Party Bus. There's no need to worry about parking or driving home after a great game spent cheering your team on!